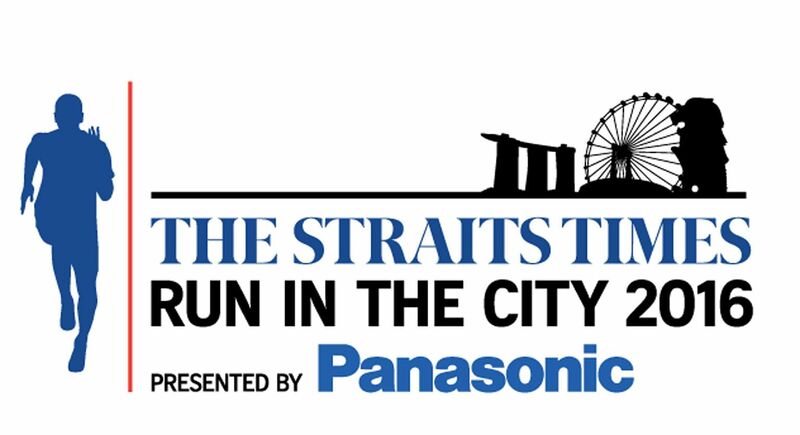 While there were plenty of runners pounding the pavement, Ms Ivel Law, 36, and her family were content to stroll along the 5km route at yesterday's The Straits Times Run in the City. For the secretary at a law firm, her husband Ronn Chee, a 47-year-old property agent, and their youngest son, four-year-old Lee Keng, the priority was really to bond as they took part in the OCBC Mighty Savers 5km Family Run. "It is a good way for the family to spend time together," said Ms Law. It was clear the run itself was not the only thing that attracted people to the annual event. The post-race carnival, held outdoors, proved equally popular, with a wide variety of activities for all present. Ms Fehmida Tyebally, 63, who attended the run with six family members, said: "The venue and ambience are wonderful. Having lived here for so many years, I have never come here to the F1 Pit Building before. It makes you think why we did not do this sooner." I am an F1 and Lewis Hamilton fan so it's really cool to be able to be here for a run. When I stepped onto the track just now, I felt like... Whoa! I like this run because of the open-air concept at the start and end points. It is more spacious. The route is a flat surface without many steep elevations. NORA IZAHAR, 45, primary school teacher. There is music along the way, too, so we can run and sing along. These things excite and encourage you so that you will not feel tired. LINDA ISMAIL, 44, bank executive. This is my first time joining a race. The scenery was good, I like the design of the medal, and the crowd was encouraging. WILLARD NG, 17, Hwa Chong Institution student. "It's my first run and I'm excited and quite curious. I'm looking for something crazy and I know that I can find that among people who wake up so early. ANUPAM SARKAR, 34, IT professional who arrived at 3.30am. The 18.45km is a one-of-a-kind route. Last year, many people thought that there would not be another 18.45km held, but it is good to have it back each year so that people can keep breaking their personal bests. STEVEN WONG, 61, manager in a financial firm. We do walks around the parks quite often together as a family. This is a different experience, to walk with so many other people who have woken up early in the morning. NICO TIRTAWIDJAJA, 44, IT manager. The routes were also brightened up by runners dressed in costumes. A runner in a Spider-Man costume, who wanted to be known only as Mr Lee, has participated in the ST Run since 2014. The Marvel Comics character was his childhood hero. "Wearing the costume may become a tradition if I participate in the run next year," the 31-year-old civil servant said. Another costumed runner was Mr Tsubasa Nakamura, 41, who turned heads when he showed up in a business suit, carrying a copy of The Straits Times. "In Japan, many salarymen read the newspapers on the way to the office or on trains," said the director of a construction company. "Since it was The Straits Times Run in the City 2016, I got the idea of adding the newspaper to my costume." F1 fans were in for a treat as elements of the sport were woven in throughout the event, thanks to a tie-up with race promoter Singapore Grand Prix. Participants got to interact with grid girls and were even met at the finish line of the 10km and 18.45km runs by a chequered flag. However, the Pit Stop Challenge was undoubtedly the biggest draw for F1 fans, who were able to compete to see who was the fastest person to change a tyre of a replica F1 car. Winner Low Yuan Shen, 22, walked away with a pair of tickets to the Drivers' Autograph Session at the Sept 16-18 Singapore GP, after setting the fastest time of 10.75sec. Said Mr Low, a student: "It is a unique hands-on experience. I realised that it is not easy, seeing how heavy the tyres are. It makes you see how good the pit crew are that they can change them so fast." Three other participants won a pair of Thursday Pit Lane Experience Passes each. Runners and their families also were able to indulge in an assortment of goodies, such as cotton candy and Old Chang Kee bites from food trucks. "The cotton candy and music provided a nice finishing touch," Mr Terence Eng, 35, said. Participants were also treated to entertainment from local bands like The Switch Gang and Jukuleles. They also got a chance to mingle with local celebrities, such as ONE FM 91.3's Andre Hoeden, Elliott Danker and Shaun Tupaz, as well as emcees Glenn Ong (ONE FM 91.3) and Charmaine Yee (Kiss92). S-League players such as Geylang International's Gabriel Quak were also present at the carnival. Hougang United took it one step further as the entire team took part in the 5km run and handed out signed footballs to the crowd after the race. Said Hougang forward Jozef Kaplan: "There were many children running. It was a very enjoyable experience for me and for all the players."